Anyways , This outfit is really cute and well put together for a last minute outfit!I would never think of something like this!Haha!She looks like , maybe , a fairy ,the sky fairy,the accessories match it perfectly!And her makeup , wowowow!! 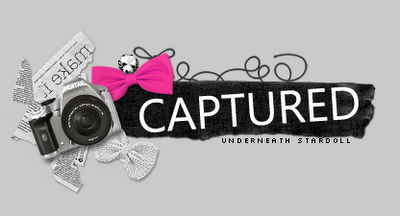 Any questions on captured?Go HERE to my guestbook! Unfortunately we CANNOT capture you by request , so please dont ask this.